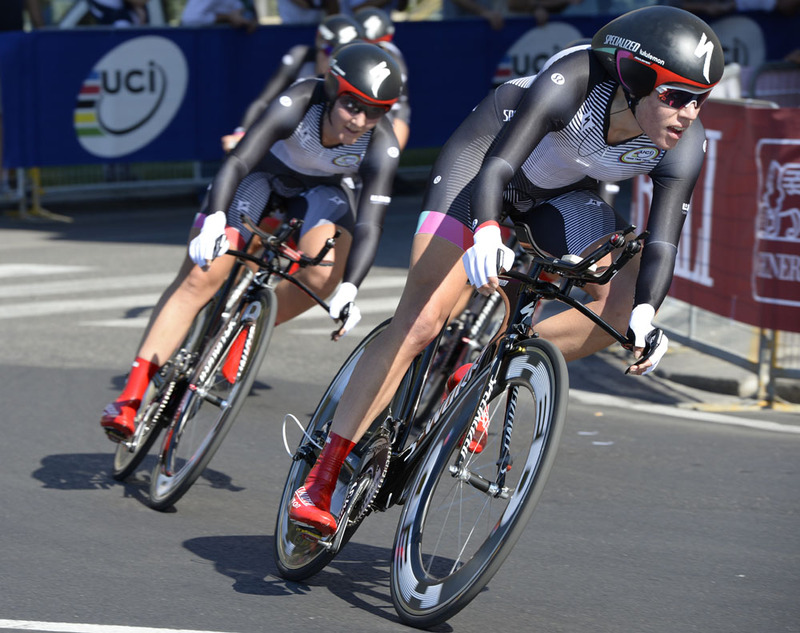 Specialized-Lululemon won the team time trial in the World Championships for a second year running. Its six riders – with Katie Colclough closing her career – rode the 42.79-kilometre course in 51 minutes today in Florence. Rabo, at one minute back, finished the closest. RusVelo set the fastest times early on the clear and calm Tuscan course. Specialized, going last as defending champion, zipped through the long stretches between the Pistoia start and Florence. 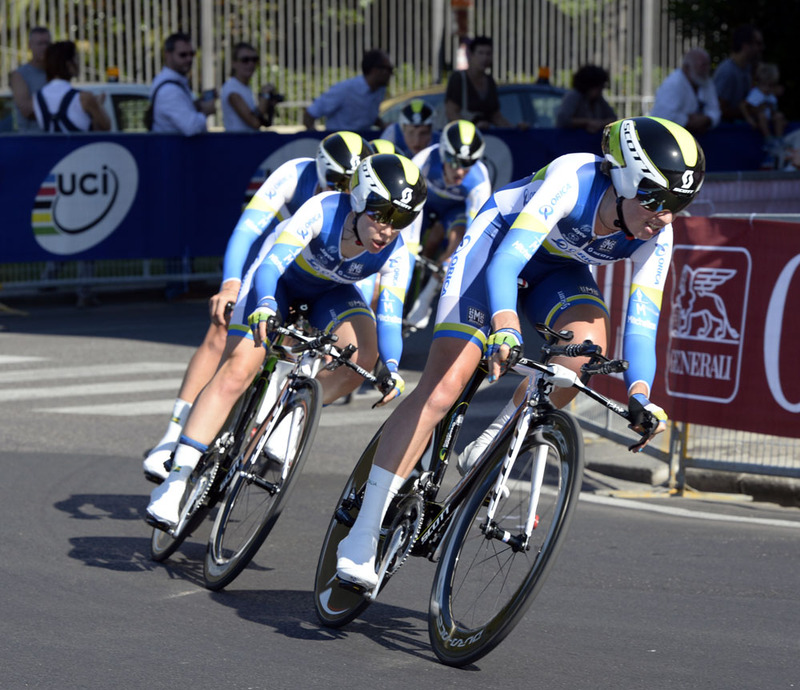 They went better than RusVelo and the new best times that Team Rabo and Orica-AIS clocked. The event kicked off the week of World Championship events, ending with the men’s road race next Sunday. Each event begins in a different Tuscan city but all finish under the shadow of the duomo and along the River Arno in Florence. 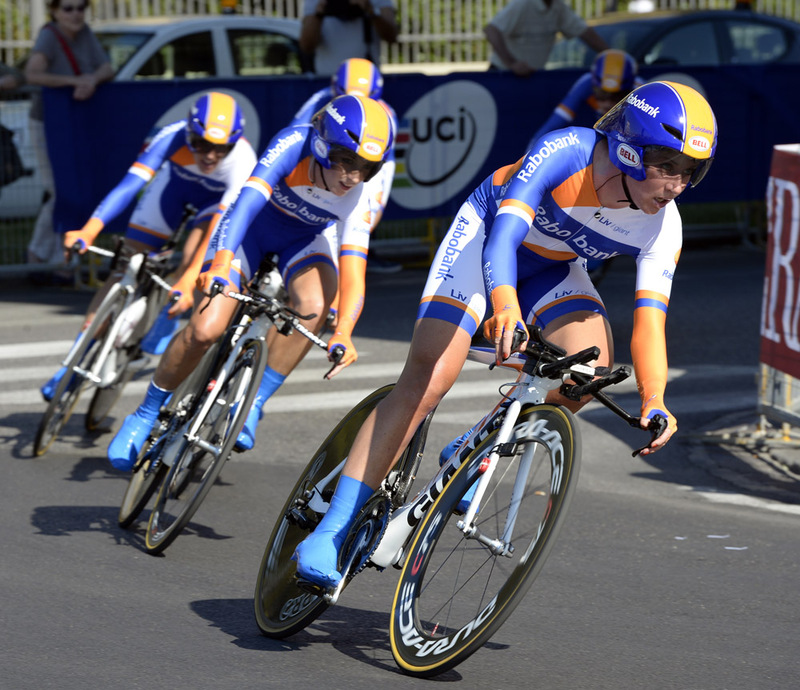 Van Dijk, Trixi Worrack, Evelyn Stevens helped win last year in Valkenburg, The Netherlands. They returned this year with Colclough, Carmen Small and Lisa Brennauer. Colclough joined the team three years ago but over the years, she helped Great Britain win three team pursuit gold medals at the European Championships. She proved herself to Specialized in the Boels Rental Ladies Tour two weeks ago. The team time trial was one of three the team won in the last month. The gold medal today sends England’s 23-year-old away from cycling with a smile. Today’s win closed her three-year Specialized chapter; all that remains is the road race with the national team on Sunday.